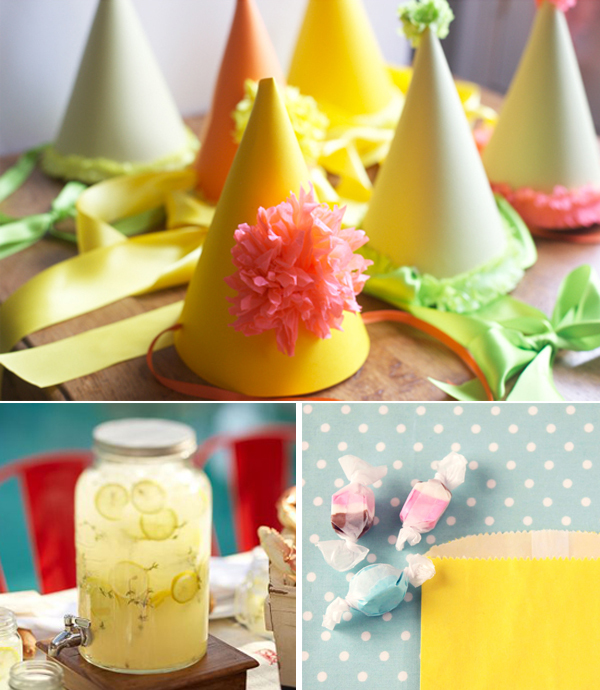 These are a few fun party details that are screaming spring! Happy First Week of Spring! We made it!! P.S. I have a sponsor spot available.... So if you would like the spring special rates and stats info just send me an email! *Today is the last day to enter the 200$ Emersonmade Giveaway! Oh my goodness I love it! I love all the beautifull colors! those little party hats are just darling!! and i love big glass of homemade lemonade in the summer!! yum! i really need a friend to be having a baby when i get back to the states so i can throw them a baby shower or birthday party or something. or im just going to have one of my own and call it a day. all I can say is: welcome spring! Love all these! The cutest colours! the colors in these photos are amazing! Soo cute!! I love the springy colors! i love this! so happy and fun! I love the burst of color, just gorgeous!! I need to make some fresh lemonade after seeing that picture. Hope you have a wonderful Monday! Anna, with all those party events you can't go wrong with lemonade! Just remember to make a simple syrup by dissolving the sugar in hot water separately. Then get out your pitcher and add the juice and the rest of the water. It will come out perfect every time. This just makes me WANT to have a party! ohhhhh I love the colors!!! P.S. Thanks so much for stopping by my blog today! this just screams bridal shower to me. it's so pretty! These are too gorgeous! A shame I didn't see this in time for my hubby's birthday (which was last week), but perhaps I could use it for mine in a few months ;-) I'm loving the yellows ans greens! That is just too adorable not to love! I hope you are getting lots of rest before the new little one gets here! (c: I just remember being so *DONE* with being pregnant at this point...I'm such a brat. (c: Happy Monday! Oh I've just been loving these lately!! So fun! 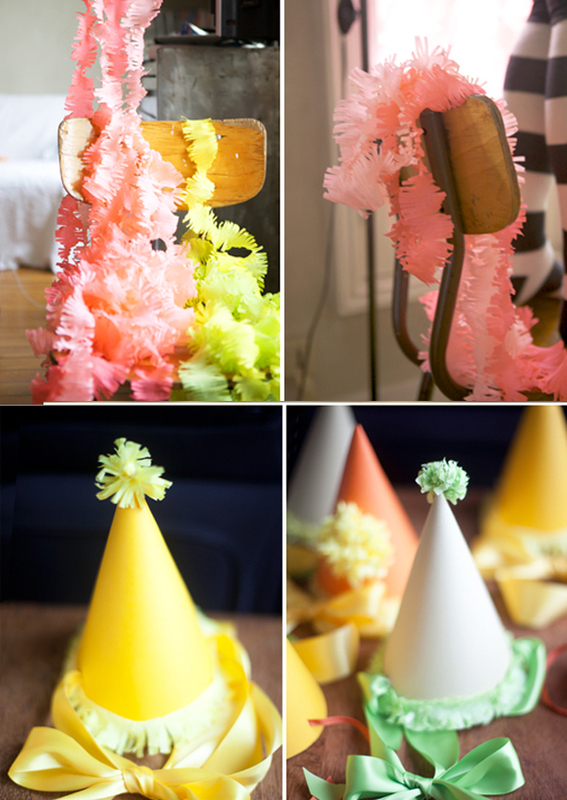 what fun and pretty party details for spring. i love the fringe! I want to throw a party. These make me think of spring. Can it just warm up already?! I'll be in your place in a few weeks, I've heard the last month goes by so extremely slow. I'm not a patient person anyways so this is torture! I can't wait to see the pictures of your little one. By the way, your party inspiration posts really are inspirational. I always imagine I'm there with all the cheery decorations and friends. what a splendid party set! most cheerful, indeed! such incredibly sweet details. i was so inspired by jordan's party! happy tuesday anna!